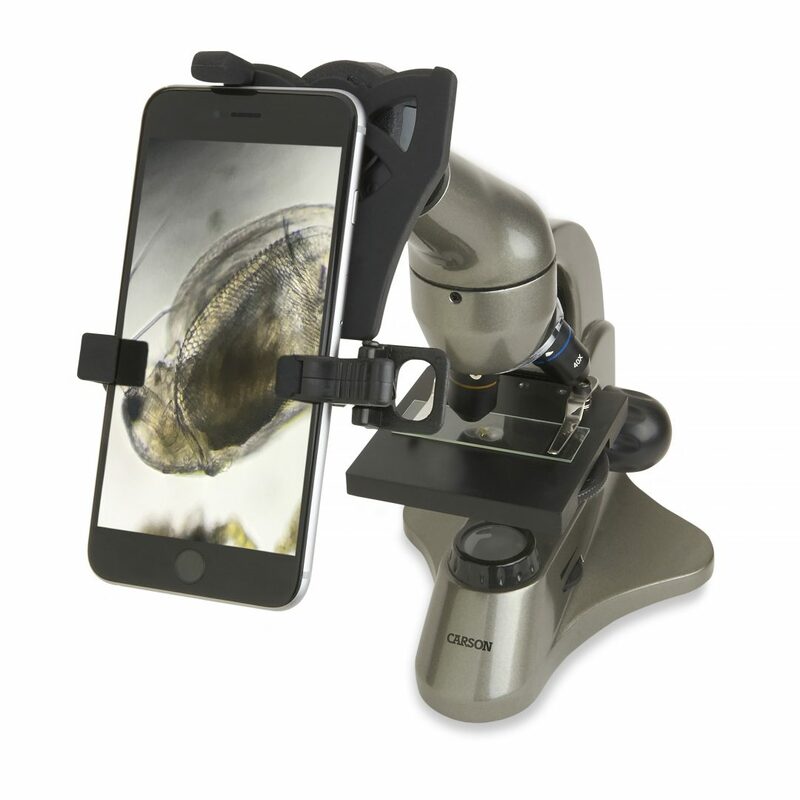 The MS-040, 40-400X Biological Microscope now comes bundled with a smartphone adapter! With the smartphone adapter you can take pictures or video of your specimen through the microscope and share with friends and family. Connect the included adapter to your smartphone and attach to the microscope. Will accommodate all the popular smartphones on the market. The Microscope is an entry-level Biological Microscope that is ideal for a student or family. The Microscope has a monocular head, at 45 degree angle for comfortable viewing, and is rotatable 360 degrees for easy sharing of the specimen view. Illumination is provided by two bright white LED sources (transmission and reflection) which allow viewing of wide range of transparent to opaque specimens. It features a filter wheel with 5 color options. The included AC power adapter allows for use internationally without the need for a voltage transformer.